exida, the global leader in functional safety certification for the process industries, has certified KOSO America, Inc.’s REXA Xpac for functional safety, to help ensure that it meets the functional safety requirements for Safety Integrity Level (SIL) 3 capability per IEC 61508: 2010. About exida: exida is a certification and research firm specializing in safety critical/high availability automation systems, control system cybersecurity, and alarm management. exida has performed more process control safety certifications than any other company worldwide. exida’s main offices are located in Sellersville, PA, USA and Munich, Germany and has worldwide operations with service centers in Brazil, Canada, Mexico, Netherlands, and New Zealand, Singapore, Japan, South Africa, and the United Kingdom. About KOSO America, Inc.: As the manufacturer of REXA Electraulic™ Actuation, Koso America is an industry leader in actuator design and electro-hydraulic technology. REXA high performance actuators and damper drives are built to withstand the most demanding applications in the power, oil & gas, metals processing, precious metal mining and water and wastewater industries. The Siemens Industry Automation Division is expanding its new Simatic S7-1500 generation of controllers with the most powerful failsafe CPU so far - the Simatic S7-1518F. The new failsafe CPU is suitable for high-end standard and safety-related applications in machine and plant automation. The Simatic S7-1516F CPU also supplements the range of failsafe CPUs. In the Step 7 Safety Advanced V13 engineering tool, users create their programs by using the same engineering and operating concept for both standard and safety-related tasks. Data consistency functions automatically synchronize standard and safety-related program sections. Simatic S7-1518F for high-end applications features a 10 MB (megabyte) user memory and has four communication interfaces: a Profinet interface with a 2-port switch for communication with the field level, two Profinet interfaces and one Profibus interface. The high performance and large memory allow connection of up to 128 drive axes and their isochronous operation in the range of 250 microseconds. The CPU 1518F has a bit performance of 1 nanosecond. The new S7-151xF failsafe controllers are certified to EN 61508 (2010) for functional safety and are suitable for use in safety-relevant applications up to SIL 3 according to IEC 62061 and PL e according to ISO 13849. For IT security an additional password protection has been set up for F-configuration and F-program. Migration tools are available for the conversion of existing failsafe automation based on Simatic S7300F/400F to the latest controller technology with Simatic S7-151xF: from the Distributed Safety V5.4 engineering tool, for example, to the TIA Portal with Step 7 Safety Advanced V13. Rockwell Automation, Inc. is proud to endorse the Cybersecurity Framework issued today by the National Institute of Standards and Technology. This voluntary framework, a joint effort of the White House and NIST, reflects input from Rockwell Automation and a diverse group of industry stakeholders who share a common objective to increase the resiliency of and reduce cybersecurity risks to critical infrastructure and manufacturing. “Rockwell Automation is honored to have actively contributed to the development of the Cybersecurity Framework that will help address cyber risks to critical infrastructure and manufacturing processes alike,” said Keith Nosbusch, chairman and CEO of Rockwell Automation. “This guideline provides a flexible structure that can help organizations improve information security protection programs to manage risks to industrial control and information systems using the Connected Enterprise." “As the world’s largest company dedicated to industrial automation and information we look forward to working with our customers across industry sectors to help them apply the Framework’s best practices as a complement to new and existing automation and information systems, and to strengthen physical and cyber safeguards that protect their assets, information and overall operations,” said Nosbusch. Over the past year, Rockwell Automation participated in NIST’s Cybersecurity Framework development process and workshop series. The company collaborated with other private-sector participants and industry groups, NIST, Department of Commerce, Department of Homeland Security and White House representatives to enhance the Framework’s attention to industrial control system security. Company executives also presented at NIST’s workshops and panels. The US Cybersecurity Framework, the result of a year-long initiative to develop a voluntary how-to guide for American industry and operators of critical infrastructure to strengthen their cyber defenses. is a key deliverable from the Executive Order on "Improving Critical Infrastructure Cybersecurity" that President Obama announced in his 2013 State of the Union address. During the past year, representatives of the Automation Federation and ISA have been assisting the US government—at the White House's request—to help develop and refine a draft of the US Cybersecurity Framework. Both organizations were sought out as essential government advisors given their expertise in developing and advocating for industrial automation and control system (IACS) security standards. The ANSI/ISA99, Industrial Automation and Control Systems Security standards (known internationally as ISA99/IEC 62443), are recognized globally for their comprehensive, all-inclusive approach to IACS security. 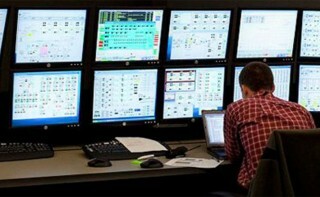 ISA's IACS security standards are among the framework's recommendations because they're designed to prevent and mitigate potentially devastating cyber damage to industrial plant systems and networks—commonly used in transportation grids, power plants, water treatment facilities, and other vital industrial settings. Without these defenses in place, industrial cyberattack can result in plant shutdown, operational and equipment impairment, severe economic and environmental damage, and public endangerment. Detcon, an IST company, is pleased to announce that the Model X40 NEMA 4X alarm and control system has received cTUVus NRTL certification for non-hazardous locations. The rugged, power-efficient controller, designed to monitor gas detection sensors and a wide range of other field devices, can receive and supervise 4-20mA or RS-485 field device inputs. The controller can be customized and expanded to monitor up to 32 field devices using Detcon’s stackable din-rail mounted I/O modules. All I/O modules are individually addressable and operate on 11.5-30VDC. Detcon I/O modules offer digital and analog input capability, as well as alarm relay and analog outputs, and can be remotely installed to simplify field wiring. The Model X40 is completely field programmable and offers advanced technology with intuitive, embedded intelligence and standard datalogging software that makes tracking and reviewing gas detection history simple and easy. Among the system’s unique features is a wireless option that can be used with Detcon’s CXT SmartWireless® gas detection product line which is cCSAus – Class I, Division 1 approved. The Model X40 NEMA 4X version was awarded the CE Mark approval earlier this year.